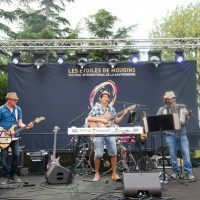 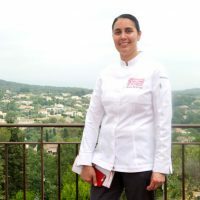 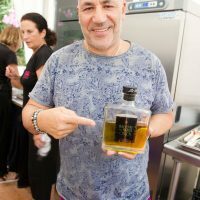 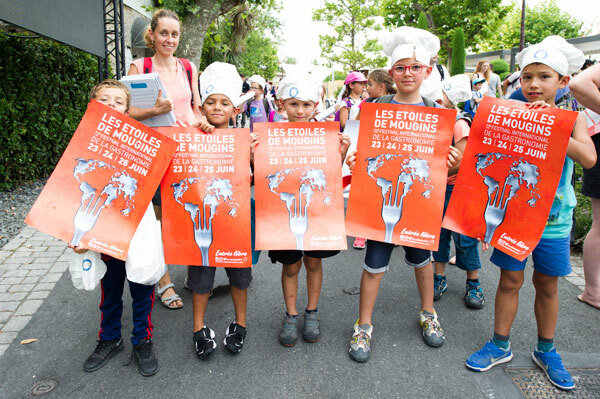 Les Étoiles de Mougins 2017, the International Festival of Gastronomy and Art of Living, turned the charming village of Mougins into the World Capital of Gastronomy. 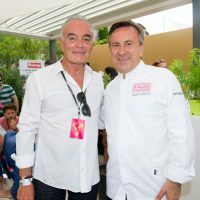 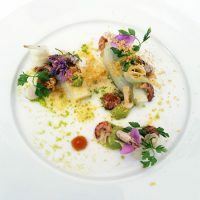 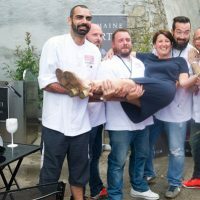 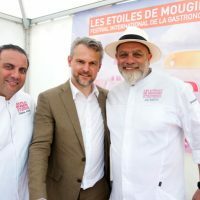 Les Étoiles de Mougins 2017, the Festival of Gastronomy and the Art of Living, kept alive the gastronomy, the culinary arts and food and wine alliances for the twelfth consecutive year, transforming the historic snail-shaped village of Mougins into a giant open-air kitchen where a gourmet and passionate public fond of original recipes has tasted the substantifique moelle (true substance) distilled by chefs from around the world. 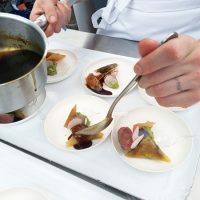 A matter of opening an appetite worthy of Gargantua’s to devour the innumerable animations of the festival, where chefs are finally recognized as artists! 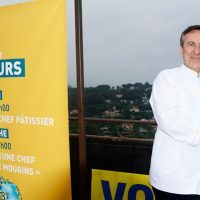 This must-see event of culinary and wine excellence has unfolded its red carpet to the guest of honor and starred chef Daniel Boulud, a student of Roger Vergé, who became famous by achieving the feat of creating 14 gastronomic establishments in the United States, including the Daniel** and Café Boulud* in New York. 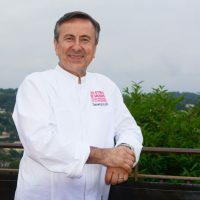 With his kindness, his humility and his availability, this chef of exception has brightened with his smile these three days dedicated to the pleasures of the table and the art of living. 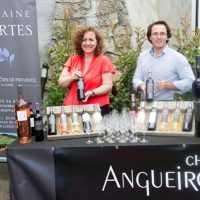 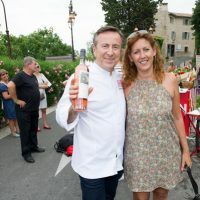 His attachment to the Provençal terroir and the superb products of the sun, the joy of reviving his youth, made his reunion with Denise Vergé, wife of the famous Roger Vergé, an incomparable party tinged with nostalgia. 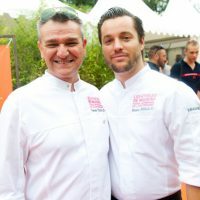 These emotional memories, linked to his mentor in the kitchens of the Moulin de Mougins, were magnificent and shared at the inauguration with his friends formerly met around the furnaces by the great master’s. 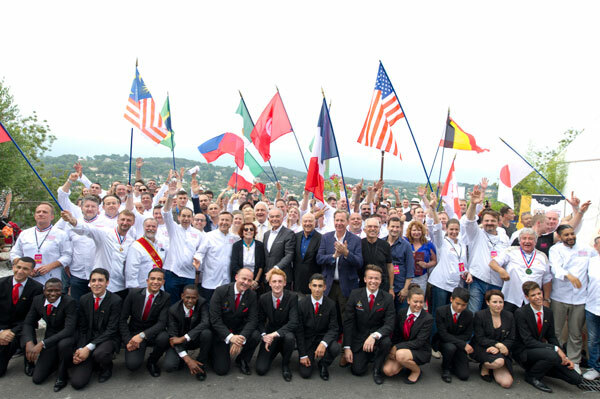 By choosing to open up to flavors from elsewhere, Les Étoiles de Mougins 2017 reaffirms its international vocation and its role as ambassador of gastronomy throughout the world. 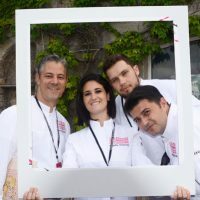 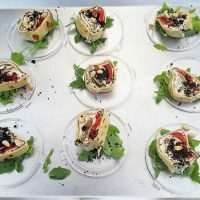 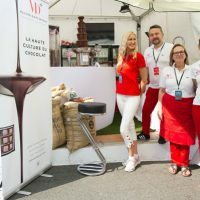 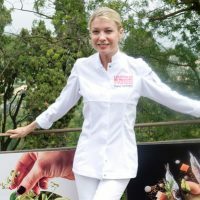 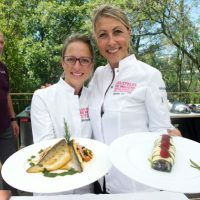 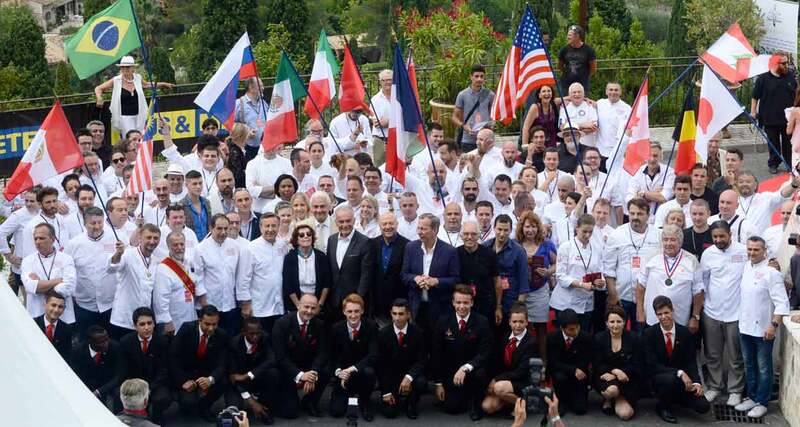 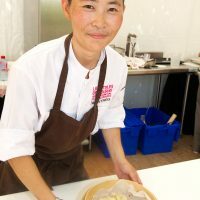 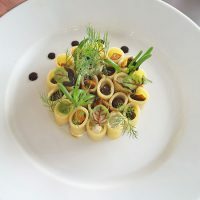 Around 120 demonstrations and workshops, 167 chefs from all five continents have made delicious dishes for three days, initiating and feasting their public fond of culinary sensations of all kinds. 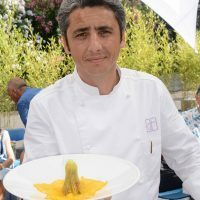 All the cuisines of the world have therefore come to Mougins for three days dedicated to Gastronomy in all its cultures on 23, 24 and 25 June 2017, enveloped by the gentle caresses of the Mediterranean sun from the French Riviera. 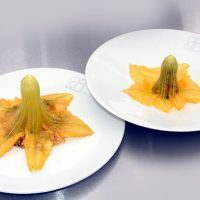 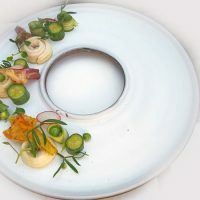 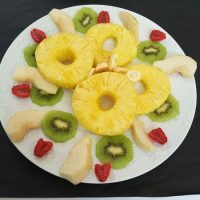 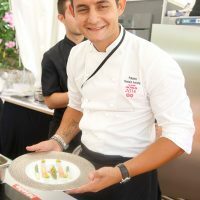 The festival is the occasion for the chefs to get out of their kitchen and meet their public, who can realize the artistic side of their creations. 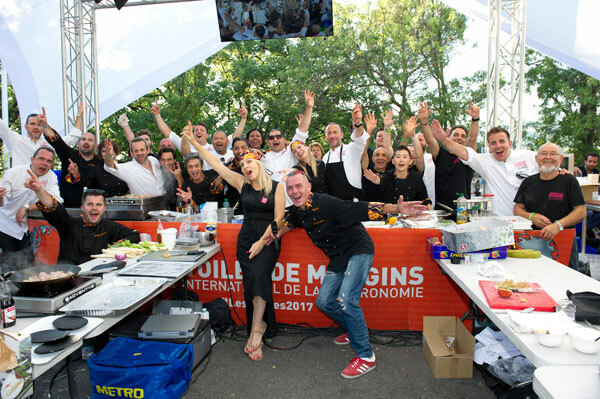 The chefs also celebrate with their fellow cuisiniers, as they practice a profession of love and generosity, and show a great mutual aid. 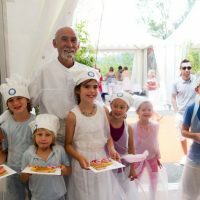 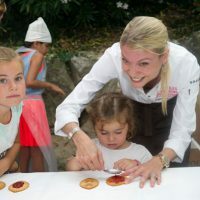 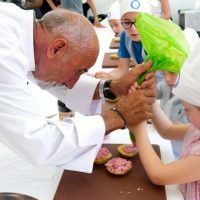 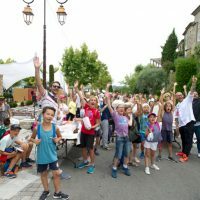 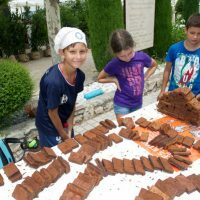 To begin these three days of gastronomic madness, the children from the international schools of Mougins, including also polyhandicaped children, invaded the streets of the village with their cheerful shouts to overthrow dozens of dominoes in chocolate cake, before learning the tastes and flavors in the numerous workshops dedicated to them. 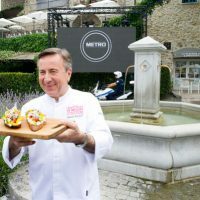 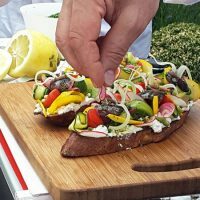 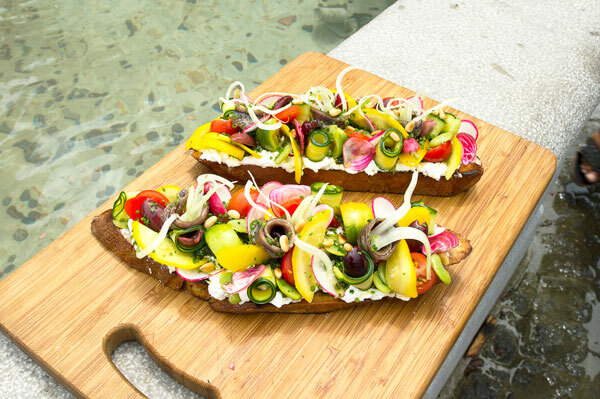 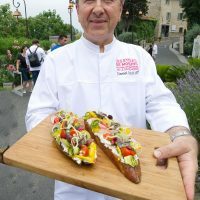 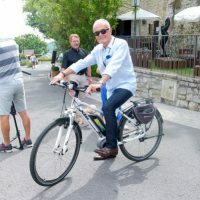 To begin Les Étoiles de Mougins 2017, the guest of honor Daniel Boulud concocted live on Loic Ballet’s triporteur, for the program Télématin on France 2, a recipe based on fresh Mediterranean products: tomatoes, peppers, fresh cheese, on two large slices of artisan bread, flavored with thyme, basil and lavender. 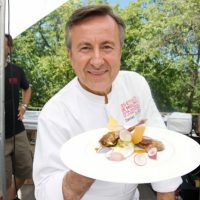 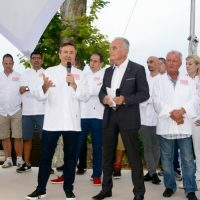 The inauguration of Les Etoiles de Mougins 2017 brought together around Daniel Boulud, newly arrived from New York, the mayor of Mougins, Richard Galy and his friends from Mougins, to re-live his prestigious career on a giant screen. 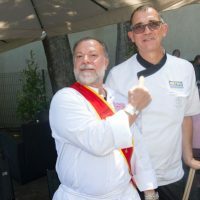 The great chef was then congratulated, in video and music, by the brigades working in his estblishments dispatched to the four corners of the planet. 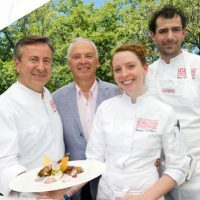 An exceptional moment that Daniel Boulud wished to share with Denise Vergé and his friends, reminding, as a tribute, that: “I owe this career to Roger Vergé!”. 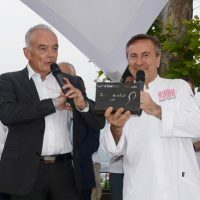 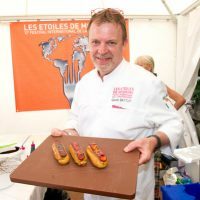 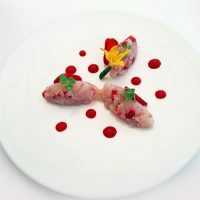 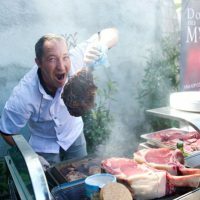 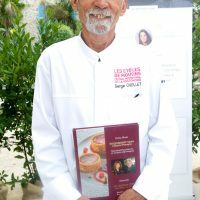 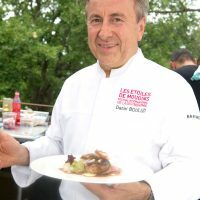 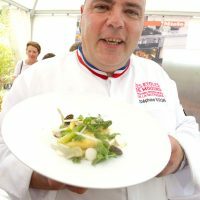 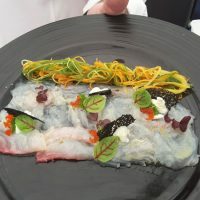 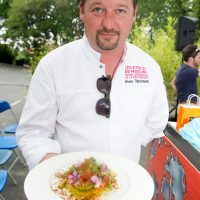 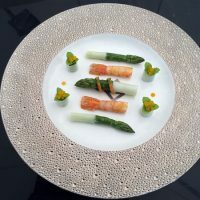 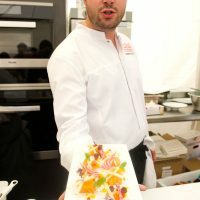 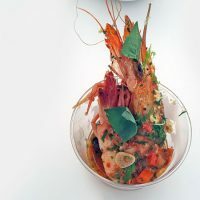 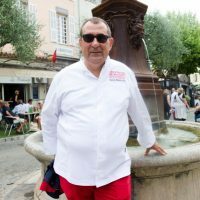 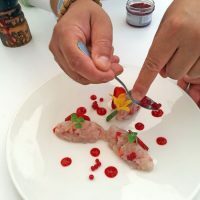 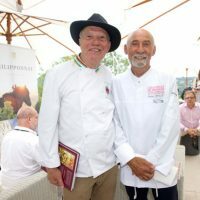 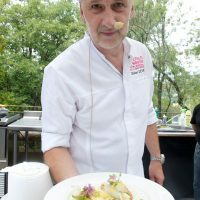 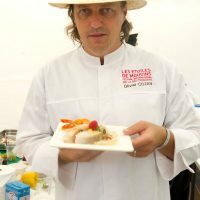 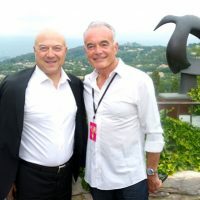 Les Étoiles de Mougins 2017 has been rich in moments of culinary emotions, from the Rally des Chefs in 2 CV, the Petit Déj’ des Chefs, animated by the Toques Brûlées, with delights by Stéphan Perrotte, Jams World Champion. 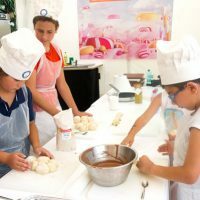 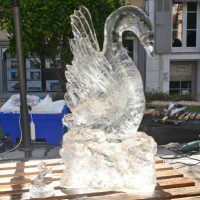 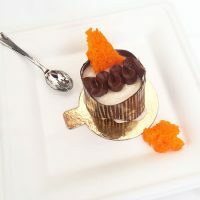 Gourmet sweet and savory workshops have allowed the public to get involved with chefs and pastry chefs. 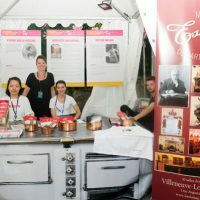 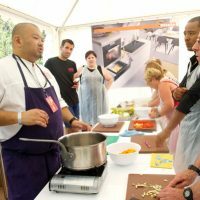 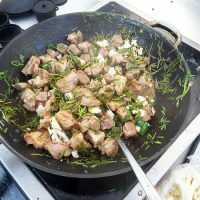 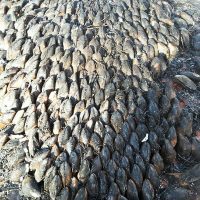 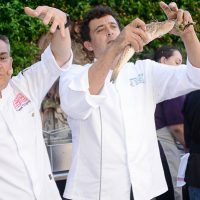 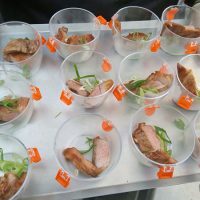 The culinary demonstrations of chefs enabled the public to grasp some of their secrets from the stove, to be able to reproduce the recipes at home. 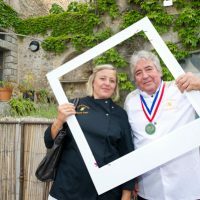 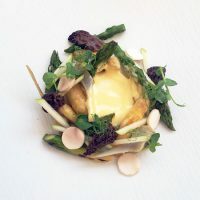 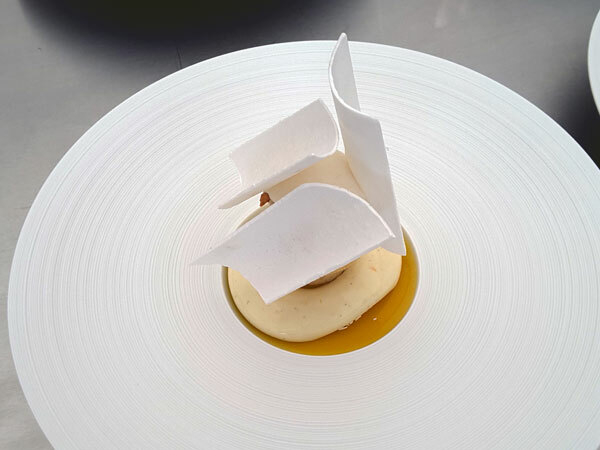 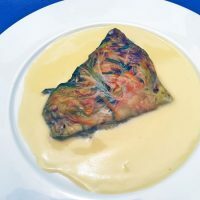 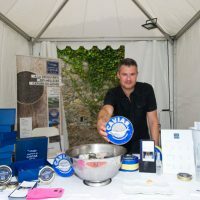 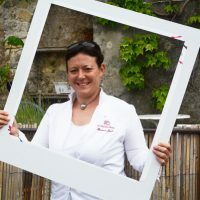 The Bouillon de Culture conferences adressed many themes about gastronomy, in particular with Michael Elllis, International Director of the Guides Michelin. 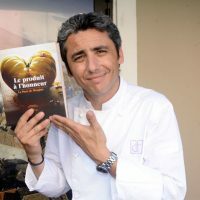 In the Espace Dédicace by the Cultura Bookstore, Denis Fetisson, chef of L’Amandier de Mougins and La Place de Mougins, dedicated his book “Le produit à l’Honneur“. 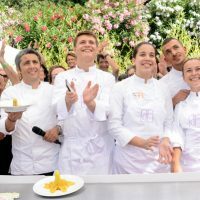 Les Étoiles de Mougins 2017 is also an opportunity to consecrate new talents through difficult competitions under the pitiless eye of great chefs and professionals. 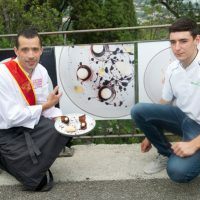 From the international contest Les Espoirs de Mougins, rewarding the talent of a Young Chef, to the contest of the Meilleur Jeune Sommelier (Best Young Sommelier), via by the Concours du Jeune Chef Pâtissier (Contest of the Young Pastry Chef), the candidates have competed passionately, demonstrating a great professionalism and talent. 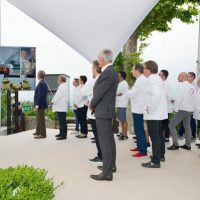 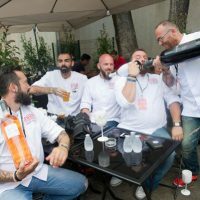 These Chefs will surely one day be Maîtres Restaurateurs, like the four chefs detaining this prestigious label who made a show cooking of Home-made cuisine based on fresh products. 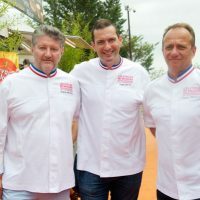 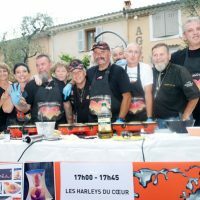 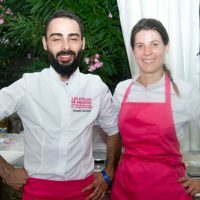 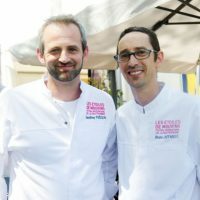 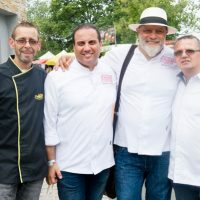 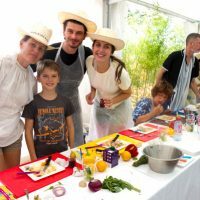 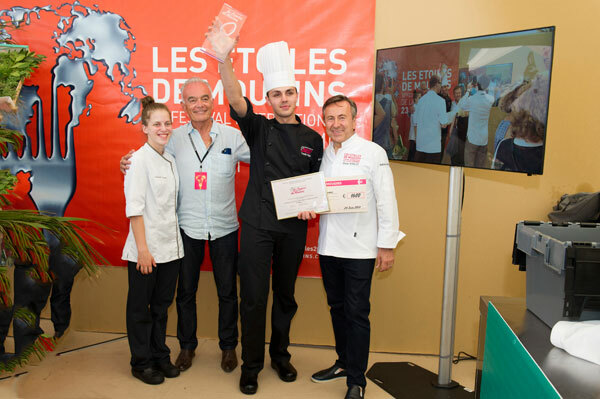 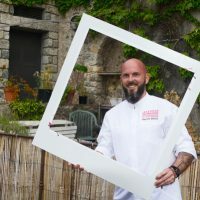 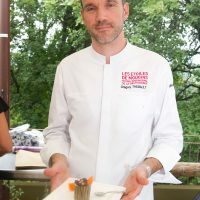 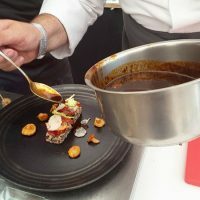 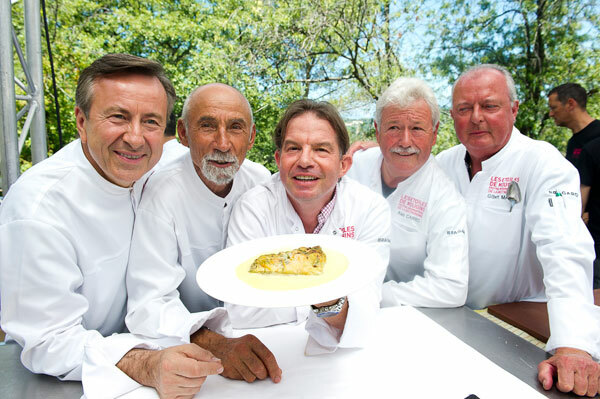 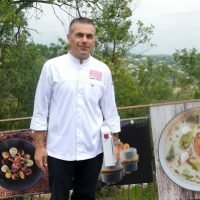 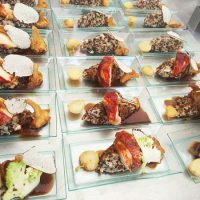 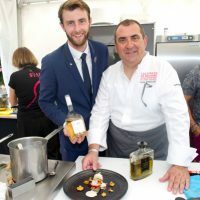 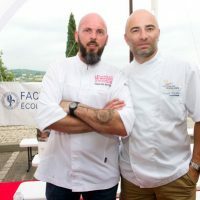 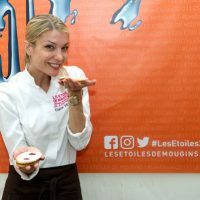 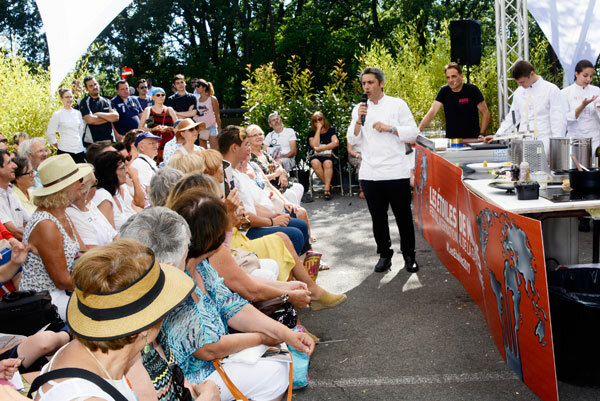 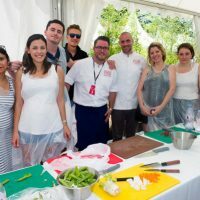 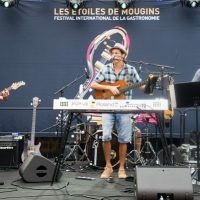 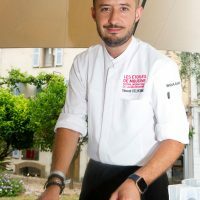 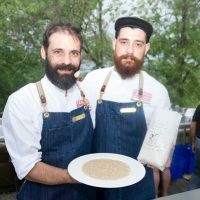 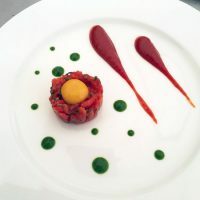 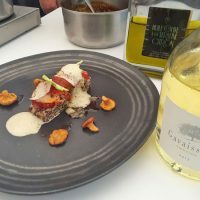 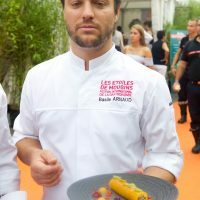 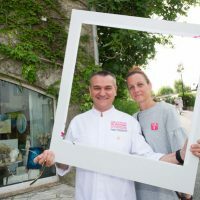 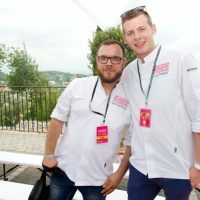 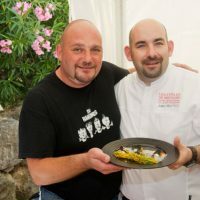 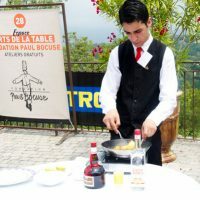 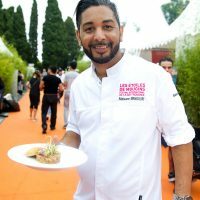 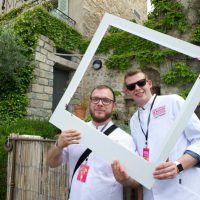 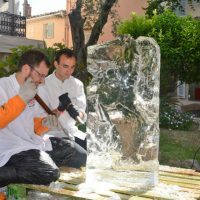 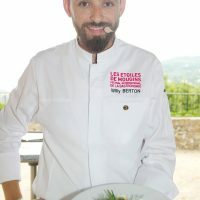 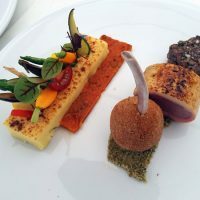 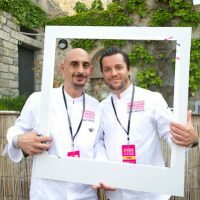 In final of the Étoiles de Mougins 2017, as they opened it, the chefs from the Toques Brûlées closed the festival by their traditional Show Cooking of Toques Brûlées and Euro Toques at Espace Roger Vergé. 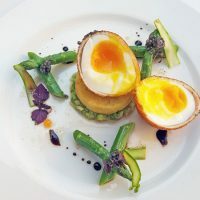 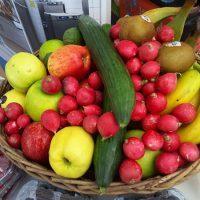 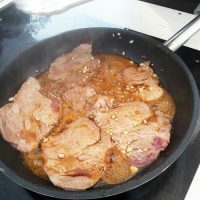 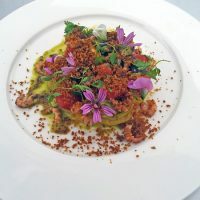 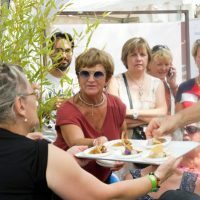 With recipes of surprising originality, the big-hearted chefs have let their talent, generosity and good humor shine to the delight of the public, offering rejoicing for the eyes, the palate and the heart. 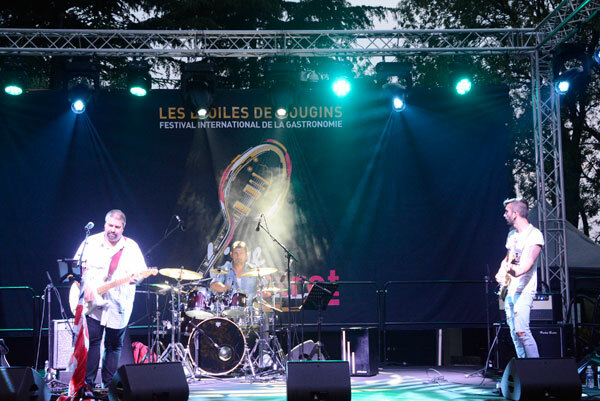 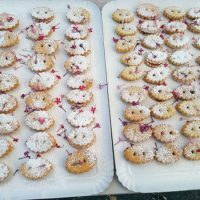 Each evening, the participants of Les Étoiles de Mougins 2017 lingered in the sweetness of the night by extending the culinary delights with the concerts given by different groups every dayg. 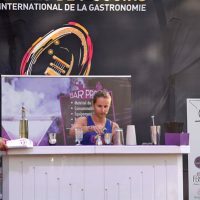 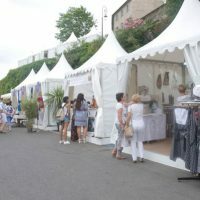 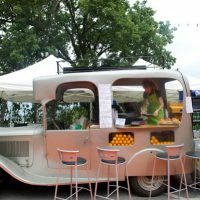 At the nearby Food Trucks, the public could enjoy pan bagnats or “maison” burgers prepared by the Association of Toques Blanches, all washed down with the delicious cocktails from the Espace Badoit. 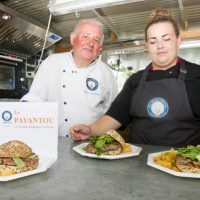 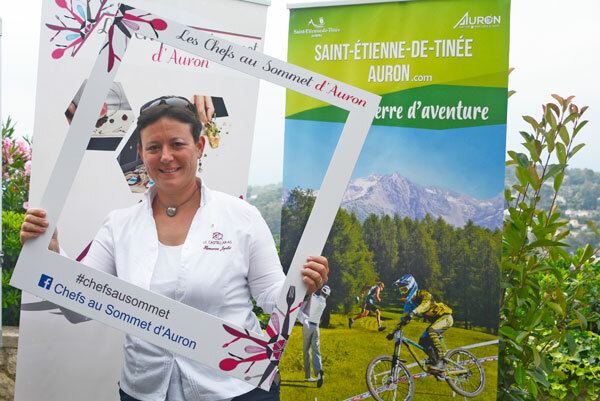 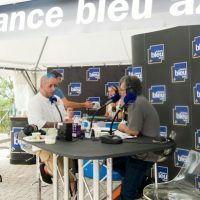 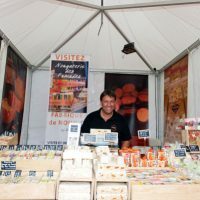 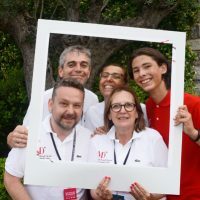 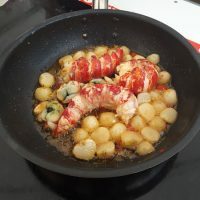 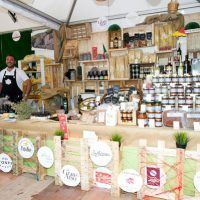 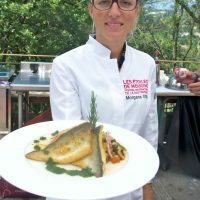 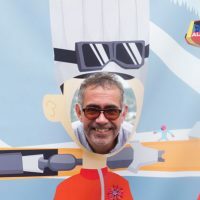 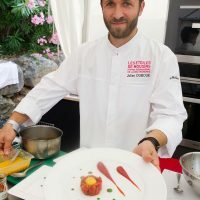 This year, for the first time the Auron station – which has just celebrated its 80th anniversary – had opened a stand to promote its activities and especially Les Chefs au Sommet d’Auron, the Festival of Mountain Gastronomy. 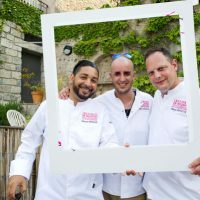 For the seventh time, in January, a team of talented chefs and pastry chefs from the Côte d’Azur invade the iconic ski resort of Le Mercantour to share an authentic moment of culinary pleasures and conviviality with the tourists and the inhabitants of Haute Tinée.